The Orem/Provo area of Utah has seen a vast improvement in restaurant options over the last few years. But, the finest dining option in Orem continues to be The Chef’s Table– and I was privileged recently to experience with my sisters an assortment of the palette pleasing creations Chef Chad has designed for his patrons. Chef Chad Pritchard took over management of the restaurant in January of 2014. He is a classically trained French chef who grew up in Texas and attended Le Cordon Bleu College of Culinary Arts in Austin Texas. After graduating, he enriched his experience by serving as Executive Sous Chef of Pignetti’s Italian Restaurant in Temple, Texas and then as Executive Chef of King Salmon Lodge in Alaska. He is committed to bringing Orem’s restaurant scene to a whole new level with his vast experience and training in the culinary arts. And he is not disappointing. Our mouths were overwhelmed with delight as we tried a wide variety of selections from the impressive menu at the Chef’s Table. We were delighted by the butternut squash soup, which we could have eaten for dessert is was so rich, sweet, and delicious. 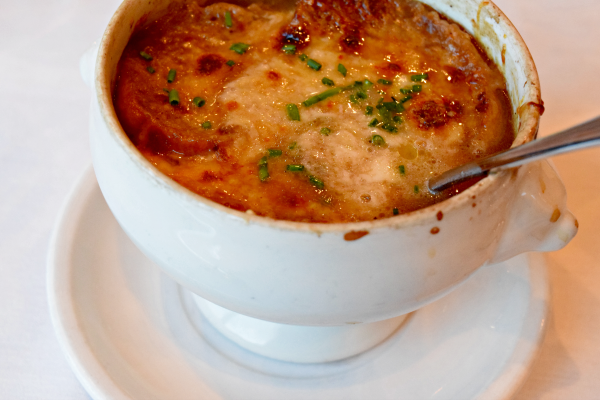 And the French Onion Soup was equally as pleasing in all of its savory goodness. 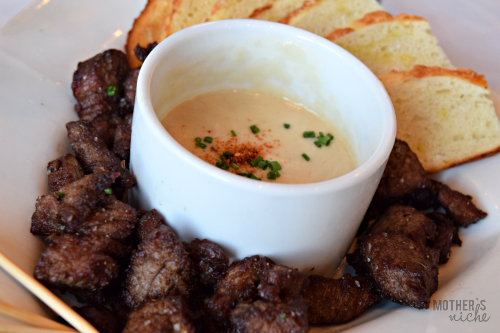 For appetizers- the marinated steak fondue was amazing and the crab cakes rich in flavor and texture. 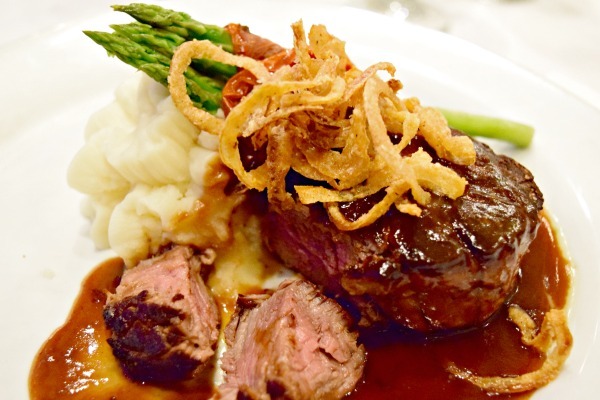 We loved the House Filet Mingon- cooked to perfection and paired with garlic mashed potatoes and asparagus. 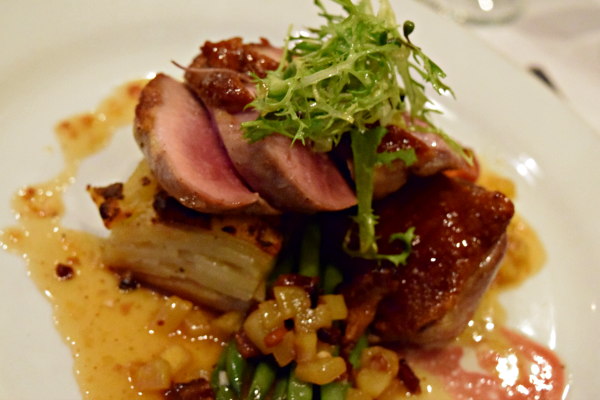 For duck lovers, the Glazed Duck Breast is a treat with its apple bacon hash and potato gratin. 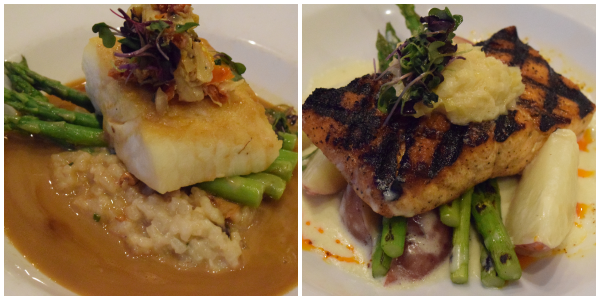 We couldn’t decide which we liked better, the Pan Roasted Halibut with its incredibly delicious mushroom risotto or the Grilled Salmon with its poached red potato and leek fondue. They were both so amazing. Not only were the entree’s gorgeous to look at and exciting to the taste buds, the portions were generous, which isn’t always the case when it comes to fine dining. Just when we thought things couldn’t get any better, we caved and decided to order dessert! We only wished our stomachs were able to hold more of the goodness that was before us! 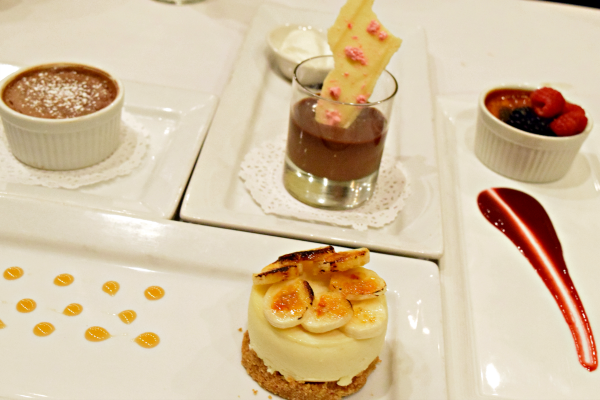 If you have a special occasion coming up, The Chef’s table is the perfect place to celebrate. Between the ambiance, the mountain view, the service, and the impeccable quality of the culinary fair, it is an experience in dining that you will not soon forget.